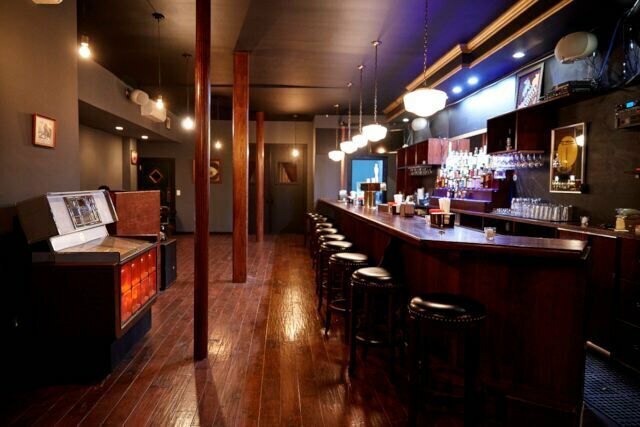 A shiny new venue is open and booking in Bushwick! Gold Sounds Bar has officially opened its doors to the public at 44 Wilson Ave between Melrose and George St, just across from Dear Bushwick. Previously Morgan Town Bar, this spot seems likely to become a go-to neighborhood venue: its owners plan to to present a full lineup of local bands almost nightly with affordable cover rates. Gold Sounds held its soft opening last Friday with a free show featuring long time Bushwick antifolk scene fixture Brook Pridemore, Asbury Park pop punkers Teenage Halloween, Kung Fu Crimewave, True Dreams, and folk punk throwback Endless Mike & The Beagle Club (the latter was simultaneously holding their record release party for their most recent album, Saint Paul). 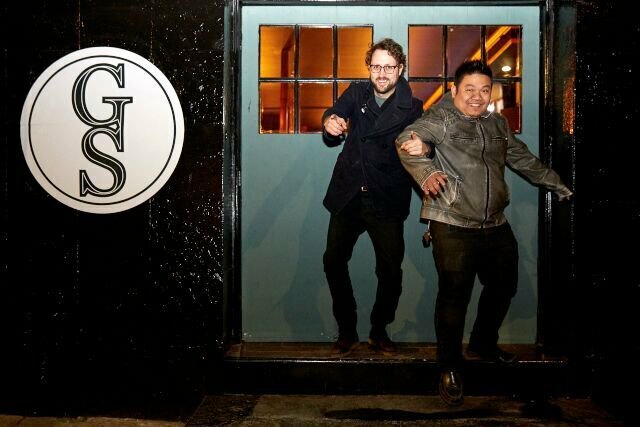 Owners Cenk Eryaman and Chip Su are well-versed in the New York City music and bar scene. 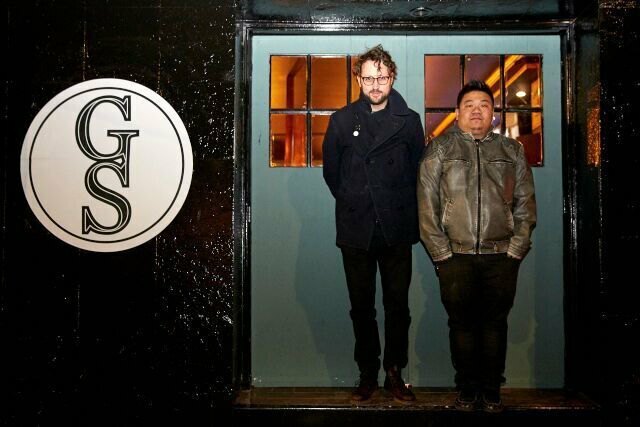 They own booking agency New Island Entertainment; partially own Starr Street venue and bar The Shop Brooklyn, and manage booking for Williamsburg bar Black Bear. Eryman and Su had their eye on the Gold Sounds location for two years, and have renovated extensively to get it show-ready. Between Eryaman and Su, the owners have held every bar role imaginable over the past 15 years. They combined their knowledge to "create a place that encompassed the elements of any good dive bar without relying on a cheesy theme or trendy gimmicks: A solid happy hour, good bands and a killer Jukebox," describes Eyraman. They will offer bar food, including empanadas (1 for $2 or 3 for $5), and reasonably priced drink deals, including the "high five": a Miller High Life and a shot for $5. The ultimate goal of Gold Sounds, the name of which comes from the title of a Pavement song, is to mesh well with the surroundings and "focus on what [the] neighbors are excited about." The space has thick insulated walls to avoid noise complaints from neighbors, and patrons enter the performance space from the back of the bar (the doors to that are well-insulated as well, so one can still hit up the bar even if he or she isn't trying to catch the evening's show). 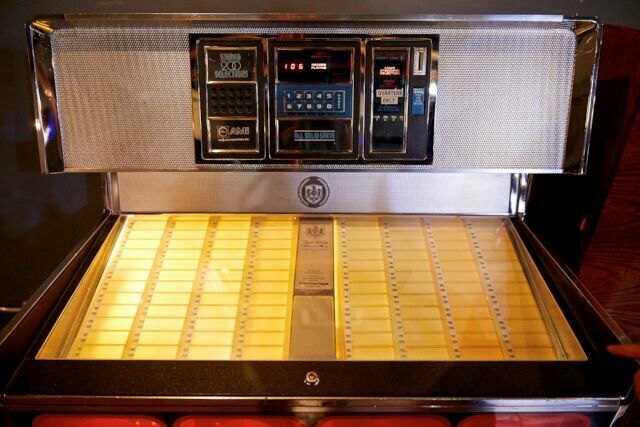 The sound system for the bar consists of a vintage 45-rpm record jukebox from the 70s, which is hooked up to the speakers that play throughout the bar. 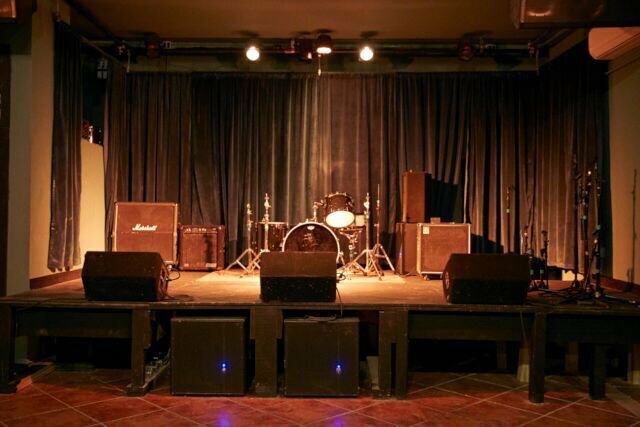 The back room sound system is modern and high quality to give the best possible experience in such an intimate setting; the owners want to have a space "where the local bands feel respected, with a great room and a great sound system," says Chip. This Thursday, March 10, Gold Sounds will be holding its grand opening party which will feature a headline performance by Mattie Safer of The Rapture with an opening by Alyson Greenfield, and an open bar from 8pm-9pm before the show kicks off. Cozy and unpretentious, Gold Sounds is sure to be a great place to catch talented acts any night of the week. Gold Sounds is located at 44 Wilson Avenue between Melrose St and George St off of the Morgan Ave stop on the L train. Hours of operation are Sunday-Wednesday from 4:00 pm to 2:00 am and Thursday-Saturday from 4:00 pm to 4:00 am. Tel: (718) 618-0686. Follow them on Facebook here; website at goldsoundsbar.com.